Life as a broadcaster is going pretty well for Jason Terry. 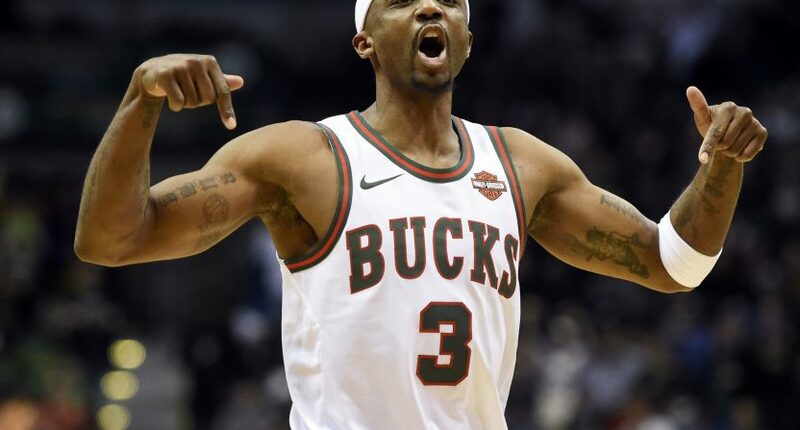 On Wednesday afternoon, longtime NBA guard Jason Terry had just flown to Atlanta from Dallas, where he attended the final home game and emotional retirement ceremony for Dirk Nowitzki. The 19-year NBA veteran was Nowitzki’s teammate for eight seasons, winning the 2010-2011 title together with the Mavericks. All of Dirk’s basketball inspirations were there, including Charles Barkley, Larry Bird, Scottie Pippen, Shawn Kemp, Detlef Schrempf. And while Terry was talking with them, they all imparted the same message on Jet. “Empower, enlighten and encourage the next generation of ballers to leave the game in a better place than it was when they came in,” Terry said in a phone conversation with Awful Announcing. And that’s part of the reason why Terry, 41, is still active in basketball after his retirement. Right now that capacity is in broadcasting, where he’s been a part of the Turner family on Players Only and other studio work. He’ll continue that studio analysis for NBATV for the playoffs, which begin Saturday, and will appear on The Bounce, a nightly NBA show streaming on Yahoo Sports. Terry’s plans for post-retirement life began while he was still playing. During the first five years of his playing career, Terry missed the playoffs. And he always liked to go to different NBA arenas and check out playoff series from an analyst’s perspective. During a few offseasons, he participated in two programs operated by the NBA’s players association: Sportscaster U for aspiring broadcasters and the Coaching Program. While in his last two years as a player under Jason Kidd’s Milwaukee Bucks, Jet said he practically acted like a player-coach with the team. “Sitting in on every coaches meeting, in on every meeting the coaches had as far as game planning, scouting and executing of personnel decisions,” he said. Terry’s been serious about becoming a basketball coach for a long time now. He said he’d had several opportunities to coach at the Division I level as an assistant, and Terry interviewed three years ago for UAB’s head coaching position. One of the reasons Terry said he was in Atlanta was that he interviewed for the head coaching position for the College Park Skyhawks, the Atlanta Hawks’ new G-League team starting up next season. Terry said he’s just trying to keep many hats on while looking for the right opportunity. In addition to The Bounce and his studio work, Terry greatly enjoyed being a game analyst and a sideline reporter during the regular season. And Terry always enjoyed being an in-game interview during his playing days, whereas other players and coaches aren’t as enthusiastic about it. Terry’s ballin’ days aren’t quite over just yet. He’s signed up to play for the Big 3 this summer, where he’ll try to shatter the league’s 4-point scoring mark. That seems like just another side project for Jet in his post-NBA playing career, one that he hopes will end up in coaching.